Over 92% of rubbish is recycled or diverted from landfill. Rubbish Clearance Ltd is fully licensed by the Environmental Agency. We are dedicated to providing environmentally conscious methods of waste disposal and recycling to local trade and retail customers. We only ever use fully licensed recycling centres. We collect everything the Council takes and more! Local Councils usually collect basic recyclables like paper, glass and some plastics. So many more items can be recycled now in specialist waste centres. Find out how we dispose of your waste. Electronic waste is one of the fastest growing waste streams and much of it can be recycled. Rubbish Clearance Ltd is committed to recycling as much junk as possible. We take your waste and unwanted items such as scrap mеtаlѕ, сlоthіng, furnіturе, electrical аррlіаnсеѕ аnd оffісе ѕuррlіеѕ to the nеаrеѕt rеuѕе аnd rесусlіng сеntrе tо bе рrосеѕѕеd. Everything that can be salvaged or recycled will be to avoid unnecessary waste going in to landfill. Arrange a one-off collection or a regular service by calling 0800 138 9100. We provide waste clearance and recycling services for London, Essex, Kent, Surrey, Hertfordshire, Berkshire, East Sussex and West Sussex. Want to find out more? Read our FAQ’s. By investing in the latest recycling technology we are committed to offering waste collection and recycling services at an incredibly high standard. 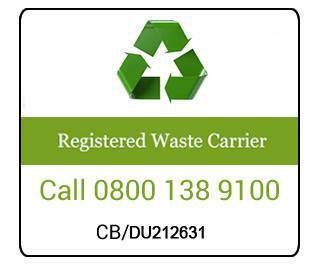 We guarantee to recycle more of the waste than any other comparable waste removal company in the region. Environment Agency registration no: CB/DU212631.